Don't look so worried, a certain Paris Hilton has nothing to do with this blog (thank goodness!) 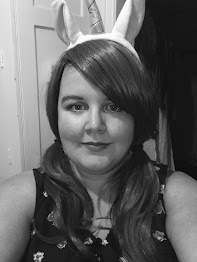 But, since it's the beginning of the month, I thought I'd share with you some stuff that I'm loving and hating right now. 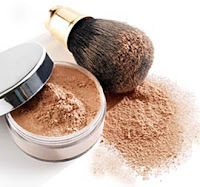 Mineral Foundations: There is nothing worse, at this time of year, when the weather is hot/muggy/humid and typically British, than having your skin suffocated behind a mask of foundation. Well, it's not really good any time of the year, but especially in the summer months. Mineral Foundations are a god-send, because they are light and airy, won't clog up your pores and best of all they still offer great coverage. There are so many companies that sell mineral products, including L'Oreal, ELF etc, so you shouldn't have too much trouble finding a good one within your price range. Sun Cream Sprays: One of the most annoying things about summer in the past, was having to carry around huge big bottles of sun cream, and then having to haul them out to re-apply. 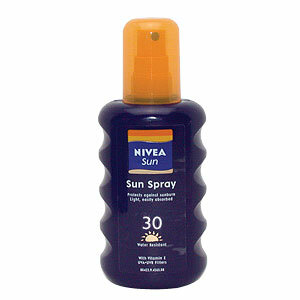 With Sun Cream Sprays, this doesn't have to be quite so annoying, because sprays tends to be lighter and most of the time smaller. With lotions, you have to struggle to apply it quickly so it doesn't drip everywhere, holding the bottle in your free hand, in the process, and then swapping to do the other side, and almost dropping it with your greasy hands. With sprays, you just spray, put it away and rub into your skin. Simple. Nail Art: Nail Art is a huge trend this year, not only on the catwalks, but Lady Gaga, Rihanna and Beyonce, have all been seen wearing it. Plus, beauty companies appear to be getting in on the act, with rumours of Rimmel launching a range spreading across the internet. The thing with Nail Art, is that it's stereotyped as being all about long nails, and looking tacky. But,the current trend is more shorter nails with simple designs that can look incredibly classy. I love using Konad, if you hadn't guessed, and definitely recommend them to anyone who wants to give Nail Art a try, but doesn't have the time, patience or steady hand to create art with brushes. 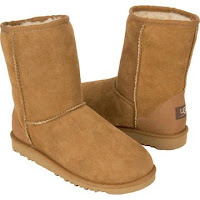 Ugg Boots: Ugg Boots, in general really bug me. I can half understand them in the winter, because they are warm, but they're still bloody ugly! But, seriously, why do girls insist on wearing them in the summer heat? I own a pair that I wear around the house in the winter, as slippers, and boy do I know how much they stink, so I really don't want to think how bad they must smell in the summer....gross! Fall Collections: A lot of make up companies are launching their Fall Collections, and I'm really not a fan of this years colours. Urban Decay, for instance, have announced several palettes that are very "earthy" with browns, bronzes and golds, and for a company that boasts colour, this for me, is really boring. I mean, I know a lot of girls love neutral shades, and relish this, but browns always make me look like someone punched both my eyes...they just don't seem to suit me at all. 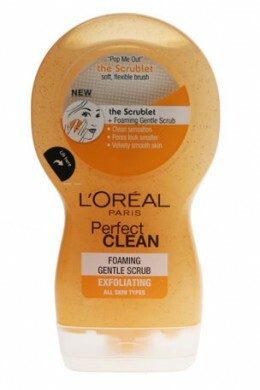 Face "Scrubbers": Neutrogena has the "Wave", L'Oreal has the "Scrublet" and Garnier has the "Exfo-Scrubber Brush". Each of them are promising to be that miracle cure to dull, blemished skin, claiming to be the most revolutionary piece of kit, that will reach all those tough to reach spots. But,the truth is that none of these over-priced gadgets will really do anything more than you could get out of a home made and 100% natural face wash, applied to your face with an everyday toothbrush to exfoliate! Personally, I think they're a complete waste of money.